Different people have different skin tones; therefore, their makeup requirements are unique. 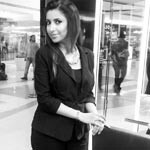 One’s face shape and contour also determine how and what kind of makeup should be applied. 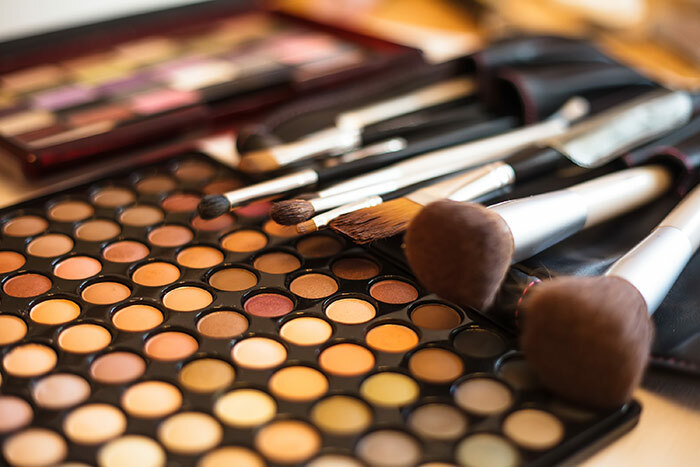 While purchasing makeup products, those with darker skin tones should select their makeup carefully as it makes a huge difference to their appearance. The right makeup can make a girl with a warm skin tone glow like a goddess. Those with dark skin, especially with dryness problems, tend to look ashy if skin is not moisturized properly. After your daily shower, make sure you apply a good moisturizer to keep your face and body well-hydrated. This will give you that clear, glowing dusky look. Just because you have a darker complexion doesn’t mean your skin won’t get affected by the harmful UV rays. This is a common mistake that many dark-skinned beauties tend to make. Choose your sunscreen depending on your skin type. 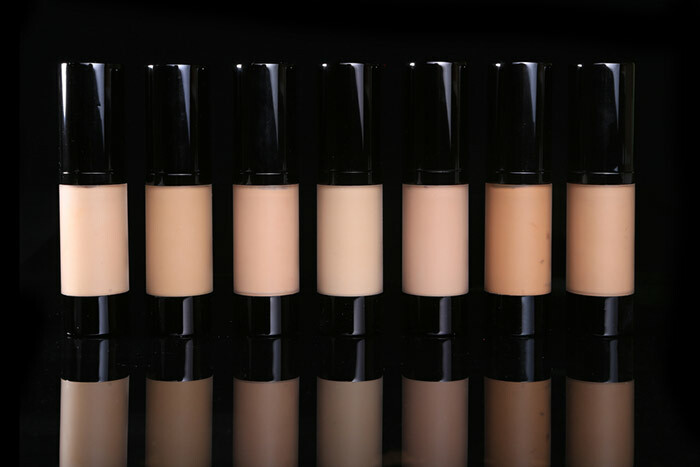 Foundation acts as a base for your makeup. Always make sure that the foundation matches your natural skin tone. You can also try using two shades of foundation – a lighter shade on the center of your face, and your natural tone on the rest of the face. This would make your face appear brighter. Look for a shade that is just right for you and evens out the discolorations. Avoid using transparent powder – it can give your skin a grayish tinge. To counteract the stubborn blemishes under the eyes, apply a concealer along the tops of your cheekbones towards the tip of your eyebrows. It’s more or less like drawing a triangle. This shape not only conceals dark circles, but it also instantly help attract the light by bringing warmth to that area. There’s nothing we love more than a creamy highlighter that wears like a face polish. To give the illusion of larger eyes, apply the highlighter under your brow bone, a bit above the crease in your lids. Once done, pat a small dot in the middle of the apple of your cheeks. Then press the highlighter onto your forehead followed by your high plane of the face, chin. Literally a staple diet for all beauty lovers, a bronzer can make your skin look fresh, glowy and sun-kissed even when the temperature is soaring high. 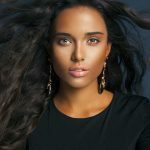 For that perfect bronze look, we suggest go about two shades deeper than your tan color, and make sure you don’t dust bronzer all over the face. To create a neat look, apply the bronzer with a sculpting brush on in a C formation. That means, start it at the temples and flick lightly along the sides of the face, forehead, nose, and chin for a more refined look. Eye makeup is something that highlights your eyes and enhances your looks. For a casual daytime event, it’s best to avoid vibrant or bright colors and opt for subtle shades like browns, pinks, and gray eyeshadows, complemented with loads of mascara. For an evening event or a formal occasion, try shades like blue, purple, and greens and also shades like burgundy, prunes, copper, and browns. These colors look amazing on dark skin and are sure to make you look like a diva! Be experimental and play with colors. Selecting colors for dark skin tones is a big task. 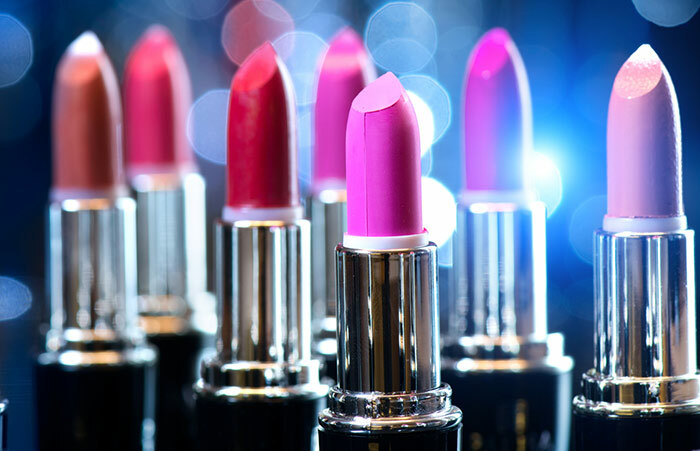 Use lip colors like beige, coffee, chocolate, soft pink, plums, berry, burgundy, and gold. Stay away from lipsticks with a frosty finish or ones that are too glossy. Shades like dark peach, bronze, deep orange, coral, wine, rose, and gold, and any darker shades of blush will complement your skin best. Don’t be afraid to wear bold colors! Just because you have dark skin, doesn’t mean you can’t rock a red lip or blue eyeshadow – just not at the same time! Wear a blush to add a flush of color on the face. Use warm colors like bronze or deep pinks. Darker skin tends to be oily, so opt for powder-based products. Try to keep your makeup minimal; simply enhance your natural tone so that the skin looks more healthy and glows. Try colored eyeliners in the shades of blue, green, purple, and deep browns for night-outs. This will accentuate and enhance your eyes dramatically. Dark skin is absolutely gorgeous. Just keep these tips in mind the next time you are getting ready. Do you have any other beauty tips for dark skinned girls? Share below! How To Pick The Right Hair Colour For Your Skin Tone? How To Choose Nail Polish Colours For 4 Different Skin Tones? What Is Your Fitzpatrick Skin Type? How Often Should You Use Face Masks?